Last weekend we attended a friend's Easter party. It was so fun! The kids dyed eggs, played with play dough, went on an egg hunt, and broke open a paper bag bunny pinata. What? Yup. 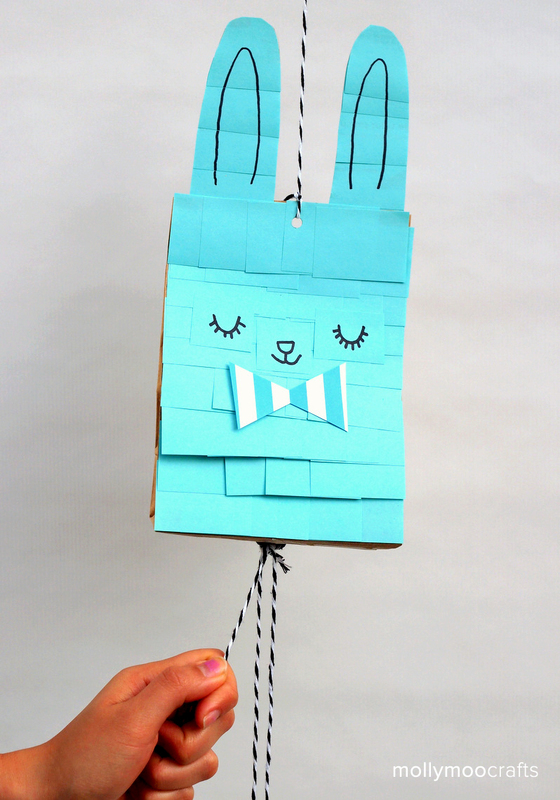 I know, Easter isn't usually associated with pinatas, but I made this super quick and easy pinata from a paper bag to add a bit more fun for the little guys.